In this era of healthy living a warm plate of chips has become something of a luxury. So Iâ€™m not surprised to find these national favourites are now being given a bit of glamour. 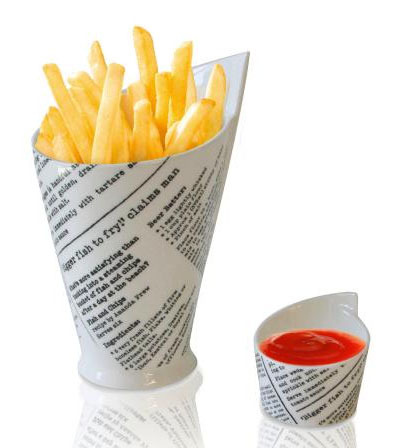 Maxwell & Williams have taken inspiration from the traditional chippy paper cone and created a sculptural French Fry Cup. The tall sweeping cup is available in a pure white or a newsprint pattern and comes with a matching dip cup. An eye-catching side dish for your next fish or burger, the Newsprint pattern is available from PotsandPans.co.uk while the White is available from Havens. 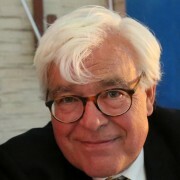 Previous Previous post: Glad you reached Happy Hotelier!